Password Validation with PHP and Regular Expressions. Regular Expressions are equally complicated and elegant at the exact same time. They may be made to look like someone was only hammering randomly on their keyboard. They're also a remarkably effective and elegant solution to describing the structure of the text and fitting those structures. They're very handy for defining what a string should look like and as such are very great to be used in password validation. It's essential that the password needs to validation With safe & strength. So Make it difficult for password crackers. Use long passwords with letters, CAPS, numbers, and symbols. Let's check a password validation with PHP and regular expressions. That is a straightforward and a long example for php beginners. This is the short version of that password -check with regex (lookahead / lookbehind / lookaround) using PHP's PCRE engine. You may use "\d" instead of "[a-z]" and "\W" instead of non-word characters, symbols. You can make a manual list of most used symbols like [#.-_,$%&!]. Remember most consumers don't enjoy passwords with symbols, you can exclude emblem check for . Just check letters, duration, caps, and numbers. 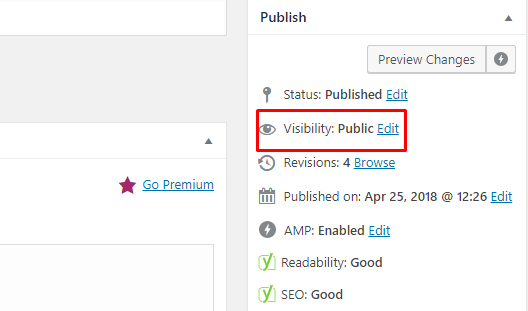 WORDPRESS SHOWS A PENDING PLUGIN UPDATE WHEN ALL PLUGINS ARE UNTIL DATE. Do you've a WordPress site that claims to have a Plugin update or Theme update when all plugin is up to date? The debugging code, contributed by Kevin Leary, among this article might show that specific update or Theme is creating the update accessible, detect among your WordPress installation. To find out that plugin or theme is creating the unfinished update notification in your WordPress installation, add the following code to your functions.php file of the currently active theme or child theme. Once saved in your function file, add to ?debug_updates your WordPress backend after /wp admin/. * added to a /wp-admin/ URL. Plugin $plugin is reporting an available update. Theme $theme is reporting an available update. Hello everyone. I’m gonna show you few methods to fix the 500 internal error you may be experiencing on WordPress. So let’s get right into it. The 500 internal server error runs on every page of your site when there’s a problem with the server or file system. 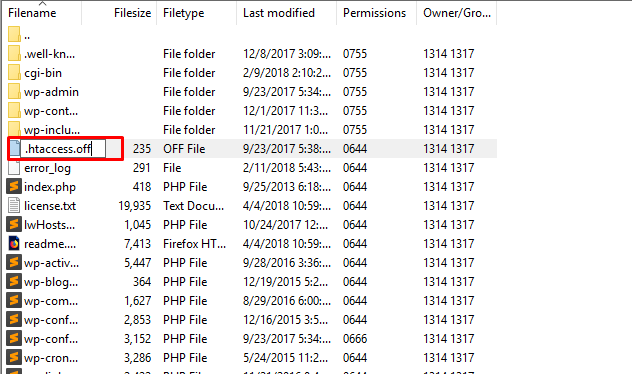 The cause most likely occurs in the root directory where your WordPress files are but it can also be caused by a problem on your host server. I’m going to show you a few ways, you can fix this problem. But before we begin I recommend you make Backup of your site before trying any of this solution in case something goes wrong. A common cause of this error is a corrupted “.htaccess” file. It can become corrupted after you install a plugin or make other change to your WordPress site. The fix is simple since all you need to is create a new “.htaccess” file. Open up your WordPress root directory in preferred FTP client. This is typically called public_html. If you see folders name wp-admin, wp-content, wp-includes, you’re in the right place. If you don’t see your “.htaccess” file or Dot files, for that matter make hidden files viewable by clicking the server and selecting force showing hidden files. Now This will differ for every FTP client. I’m Using FileZilla But it should be pretty similar. Once you should find your “.htaccess” file, rename it “.htaccess.off”. This essentially deletes your site’s “.htacces” file. So now we need to create a new one. Go to your WordPress admin area, hover over setting and click permalinks. Scroll down to the bottom of the page and hit Save Changes. Now reload your site and see if the 500 internal server error is gone, it was caused a corrupt ".htaccess" file. It’s also worth mentioning that an improperly named “.htaccess” file will cause this error to run on your site. So make sure it’s not named anything other than “.htaccess”. So if you’re still having an issue, then let’s talk about another common cause of this issue, which is exceeding your servers “PHP Memory Limit”. Save the file and re-uploaded it to your root directory. Now go ahead and refresh your website. If you’re still seeing the error, then you’re not having “PHP memory limit issues. If that did not fix the issue, then remove those line of code. Because it wasn't a problem. If those line of code worked, then great. I still recommended figuring out what caused you to reach the limit and you could always ask your host to increase the limit on your server. But if both of those solutions did not work for you then let’s try a few less common solutions. If you’re able to access the WordPress admin area, deactivate your plugins one by one. Refresh your website after each deactivation and if the error disappears, it likely caused by that plugin. If you cannot access the WordPress admin area, then go back your FTP client and open the root directory and open up the wp-content folder. This folder contains your plugins, your themes and other folders. Rename the plugins folder to anything you wish like "plugins.off". This deactivates all the plugins on your site. Now refresh your site and check If the error is gone.It was caused by a faulty plugin. After going back and enable them one by one to figure out the culprit. If that didn't work then be sure to revert your folder back to just plugins. AS for other solutions which are more unlikely. 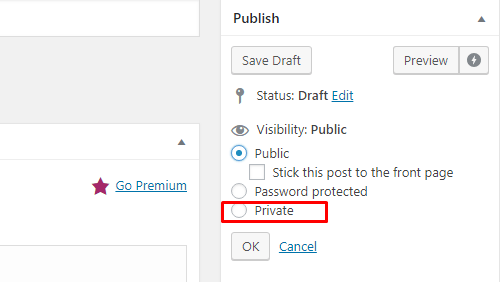 You can check the file permissions in your WordPress directory. They should be 755 or 644. If not, the could be causing the 500 internal server error. You can also upload fresh versions of wp-admin and wp-includes to your site. But this should be a last resort. Again backup your website before trying this. Once you do simply redownload WordPress and only upload the wp-admin and wp-includes folder to your root. If this works, that means you had a corrupted core file. If none of these solutions worked for you then the only option left is to give up. Ha Ha Ha…Don’t worry, I’m just kidding. What you need to do now is contact your host. Many hosts won’t be much of a help in and they’ll actually blame your site’s files for the issue which again is definitely a possibility. So you've really tried all the steps I mentioned before contacting them. If you tried everything then politely ask them their server logs to see if the issue is there. Modifying or creating .htaccess files can greatly improve the web security of your WordPress installation. Through this file, we can limit access to files and folders, perform redirects, disable directory browsing, and much more. In this section, we're going to focus on using your .htaccess files to deny access to your wp-config. PHP file, your administration area if you wish, disable directory browsing and lock down the .htaccess file itself. You edit .htaccess files with a text editor. Often times you will not be able to save the file locally on your machine as .htaccess. If this is the case for you simply save it as htaccess.txt, upload it to your server, and then rename it to .htaccess. So let's look at what your .htaccess file probably looks like. Now, when editing this file keep in mind that WordPress accesses this file and can modify anything between the BEGIN WordPress and END WordPress lines, so leave those as is. All of our additions are going to be entered on the lines after the END WordPress line. To disable directory browsing we will add the following line to the file. To protect your configurations file, add the following to your .htaccess file. Before you take this step there are some considerations. If you have a static or fixed IP address then this option will work well. If your IP address changes then you may end up locking yourself out too. Of course, you can always use FTP to remove or change the restrictions. To lock everyone out except the IP listed (change it to yours), create a new .htaccess file in the wp-admin folder and add the following to it. Don't forget to change the IP address to that of your own. You can find out your IP address by going to Google and simply type what is my IP? Include the following in your admin .htaccess file to fix this.